Riding a bicycle has always been fun. Riding a bicycle together with your dog can only multiple the joyful experience. Pet parents who have never done it are missing out. After you get your bicycle ready, find the best dog basket for bike and then get on the road to have an adventure! 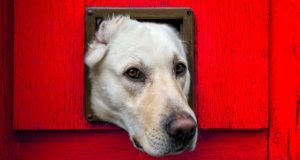 Pets, and dogs in particular, are changing the American way of living. We're seeing changes in how we spend time outdoors, with pet strollers, backpacks for dogs and dog bike carriers becoming super popular all across the US. More and more parks are being build specifically for canines, and pet parks are currently leading the growth of urban areas. Those who prefer to go on really long bike rides with their dogs and experience the full nature will probably benefit more from a special dog bike trailer. * Click on the best dog bike basket for more information and prices, or scroll down below for more details. Why get a dog bike basket at all? 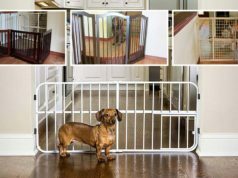 There are several reasons why pet owners may choose a dog bike basket over a dog bike trailer. The most common reason is that bicycle carries for dogs are cheaper. The disadvantage of that is that they will only fit small to medium dogs. Another alternative to both dog bike trailers and these best dog baskets for bikes are the hands-free dog bike leashes where you can simply attach a leash to yourself and have your canine run alongside of you. The disadvantage of this option is that it's not always safe and may only be appropriate to cycle in areas with no other animals and cars. Whatever option you choose, it's clear that cycling with your dog has tons of benefits for both the owner and the pet. Experts say and studies confirm that active dog owners who regularly get out with their canines are one of the healthiest groups around. With that said, let's take a look at the best dog baskets for bicycles and what they have to offer. What is the Best Dog Basket for Bike? The first item on our list considered as the best dog basket for bike is made by a super popular dog company called Snoozer. Pets get a comfortable and secure joyride with this rear bicycle seat for dogs. Its exterior is made of black quilt, while its inner lining is made of soft furry material. “Reflectorized” tape is stitched horizontally along the width of the doggy basket to increase its visibility during bike rides. There is a three-point strap to secure the pet to this dog bike basket, and sturdy buckles to secure the basket to the carrier and frame of the bike. The dog bike carrier is designed for pets weighing a maximum of 24 pounds. It's also covered by 1 year warranty. Looking at the above dog bike basket reviews, it seems that pet owners who were specifically looking for the best dog basket for bike that's made for the rear of the bike and one that carried up to 24 pounds were happy to find this product. Not too many dog bike baskets fill the bill, and this one was unique in that aspect. It held the dog securely, even not-so-well-behaved pets. It is well-padded and the dogs really liked riding in this dog carrier for bike. It even double-functions as a dog bed because of its soft cushion. The owners like it also because it’s machine-washable. However, pet parent buyers didn’t find the instructions that went with this bike dog carrier – installing and strapping the dog – as satisfactory. 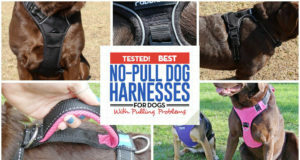 They also observed that the 3-point strap is effective only if the dog wears a harness and not a collar. They found this out after using the Snoozer Pet Rider Rear Bicycle Seat on several rides and running into minor mishaps with naughty pets, and they suggest that this detail be included in the product manual. Some customers even sent highly-detailed suggestions on how to secure the pet on to the seat. Second best dog basket for bike is from a less popular but rapidly growing dog products manufacturer, DoggyRide. At its size of 15.5in x 14.5in x 10in, this is probably one of the bigger dog bike baskets out there. The inner material is made of water-resistant nylon, while the outside material is polyester. An inner safety leash attaches to your dog’s harness or leash. A durable adapter secures this dog bike basket quickly and safely to the bike. A shoulder strap is provided with DoggyRide's dog bike carrier, which attaches five ways to adapt to five carrying preferences. This way this multipurpose second best dog basket for bike also serves as travel pet bed, grocery basket, pet car seat and pet carrier off the bike. Multiple pockets, mesh dome and rain cover complete the package. Browsing through the dog bike carrier reviews, it's clear that dog owners were thrilled with this product for many reasons. First, this dog carrier for bike has impressive construction, with solid stitching, tough clips, and high-quality materials. Second, installation of DoggyRide Cocoon Bike Baskets for Pets is quite simple and design is well put-together, considering that it is being marketed as a multipurpose doggy product. Third, reliable fastenings hold everything securely in this bike dog carrier. The clip mechanism attaches to the handlebar with screws and wire cables. The basket is clicked to the clip with a metal hasp. Most good reviews of this doggy basket came from buyers with pets below 13 pounds. The securing mechanism of these dog baskets for bikes is designed for weights of up to 15 pounds, but this includes the weight of the basket itself. Dog owners who bought this product as a car seat were dismayed to find out that it didn’t come with a KlickFix mechanism. They emphasize the importance of reading carefully the combos that a buyer chooses, and being aware of which accessories were included with their dog carriers for bikes or which parts had to be bought separately. Next one on the list is our third best dog basket for bike from yet again – Snoozer. This is a different dog bike basket from the one mentioned above, and it's designed for attachments in front of the bike. Straps and clips secure the seat to the bike handles and the harnessed dog to the basket. Pockets and mesh holder are built-in for keeping treats and water bottle for pets. While a little cheaper, this dog bike carrier is also a little less popular with the pet owners. There is a hood to protect dogs or cats from rain or sun. The dimension of 10in x 13in x 10in is designed for small pets. This dog carrier for bike is available in two colors – pink and gray. As you can see from the reviews of this third best dog basket for bike, pet owners who bought it for their small dogs loved the look of the basket, especially the dainty pink one. Snoozer Buddy Bike Basket looked great with their toy dogs. The extra storage of this bike dog carrier was also well appreciated. For small pets, this bike basket for dog and its straps proved sturdy enough and well-constructed. For bigger breeds, however, the basket could be unstable. And since it attaches to the handle bars, steering and balancing the bike become more difficult, especially with bigger and heavier dogs. Some dog owners tweaked the product slightly to make this third best dog basket for bike and even better option for cheaper, and were happy about the changes they made. They suggest that the manufacturer could make revisions and possibly add adjustable fastenings and clasps within the dog bike carrier. By doing this, the user could tighten the strap for added security or loosen it for more comfort. The fastening and support of the dog bike basket to the bicycle may also need redesigning to make the seat more stable. As it is, there is a slight swinging movement that scares some pets. Fourth one on the list best dog basket for bike is from another lesser known manufacturer of dog supplies, Walky Dog. This dog bike basket is designed for taking dogs on a ride at the front of the bicycle. The dog bike carrier is made of durable two-tone PVC fabric with padded bottom and detachable mesh top. High-quality nylon buckles, strap and leash secure the dog to the basket while the basket is fitted with brackets to the bike. A zippered pocket and mesh pockets provide storage space, and a reflective band adds visibility, which makes this a unique one on our list among other best dog baskets for bikes. Walky Dog basket has another unique feature that makes it versatile – a quick-release mounting system, which easily puts it as the fourth best dog basket for bike. It allows the basket to be carried various ways, such as attached to the bike, or carried by the hand or shoulders. Gleaning from what buyers have to say if you look at the above dog bike carrier reviews, it becomes evident that this is a good fit for pets of weights ranging from 8 pounds to 15 pounds. Walky Basket Pet Dog Bicycle Bike Basket & Carrier has ample space and well-cushioned bottom that makes it a comfortable seat and generally secure bike basket for dog to enjoy a ride. A feature that dog owners immediately noticed is the hardware that goes with the bike dog carrier. It is a handle bar attachment that makes the basket very stable once properly installed. Some pet owners needed to buy handle bar adapters to properly install the dog bike basket on their bicycles and prevent it from getting in the way of their brake cables and wires. Apparently, not all handle bar sizes stated in the description would fit to a T with the adapter provided. This could be a bike issue, though, and customers didn’t mind this minor drawback. Lastly, our final best dog basket for bike item is from a known, trusted company called Snoozer, yet again. This is a no-nonsense dog bike basket – no installation hardware, brackets, screws or wires. It is made of heavy-duty micro-fiber that’s easy to clean; there’s a metal brace for a sturdy base. The dog bike carrier comes with a detachable rain cover while front, top and side pockets provide space for storage of necessities. The inner leash clip secures the dog in the dog carrier for bike, and detachable inner padding provides comfort for pets. Buckle straps secure this last best dog basket for bike to the handle bar. This carrier also comes with extra handle straps for other carrying options, and the foldable pet carrier fits dogs of up to 14 pounds. If you take a look at the above dog bike carrier reviews, this turned out to be the perfect basket for most pet owners who bring their dogs around for bike rides. They found it sturdy, not to mention good-looking. Snoozer Sporty Bike Basket has adequate support at the bottom that also keeps it from interfering with the tire and brake lines. While the bike dog basket is foldable, making it a neat little item, it doesn’t collapse with a dog in it. It’s designed for pets up to 14 pounds in weight, but happy pet owners say the basket holds up so well even for dogs heftier than that. The size of this bicycle dog carrier is marked “small”, yet it’s rather large for bicycles smaller than a mountain bike with 26-inch wheels. Buyers suggest that before you click purchase, take note of the dimensions of this dog bike basket and make a careful assessment if its width and depth will work just fine with your bike’s measurements.